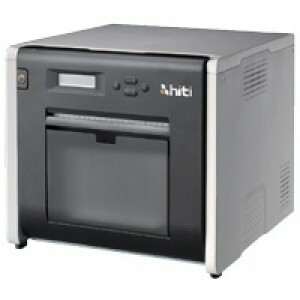 HiTi Photo Printer P520L, compact size WxH at 12.8x14” and weighing 39 pounds, is ideal for Photo Booth application and on-location event photography, theme park. It produces great photo quality prints in seconds at affordable prices. Designed as an easily movable roll-type printer and weighing only 39 pounds, the P520L brings the flexibility to do on-location on-location event photography. Apart from glossy photos, HiTi P520L is capable of matte finish. No media change required!